I am pleased to find that my two paintings “Pink Girl” and “Bandage Box” were accepted by City Arts for the exhibition at the Institute of Mental Health at the University of Nottingham. The theme for the exhibition this year was “Recovery” and I submitted the two paintings with attached poems, which I hope provide some insight into how I myself interpret the artworks. I am realising that my ongoing commitment to psychoanalysis is bearing some fruit in terms of my own painting practice… What started as a necessary way of starting to dig my way out of a rather large pit, is now giving me some interesting ways of restructuring a firmer sense of self and also serving as a great way of paying attention to my own emotions in a more reflective and analytical way. 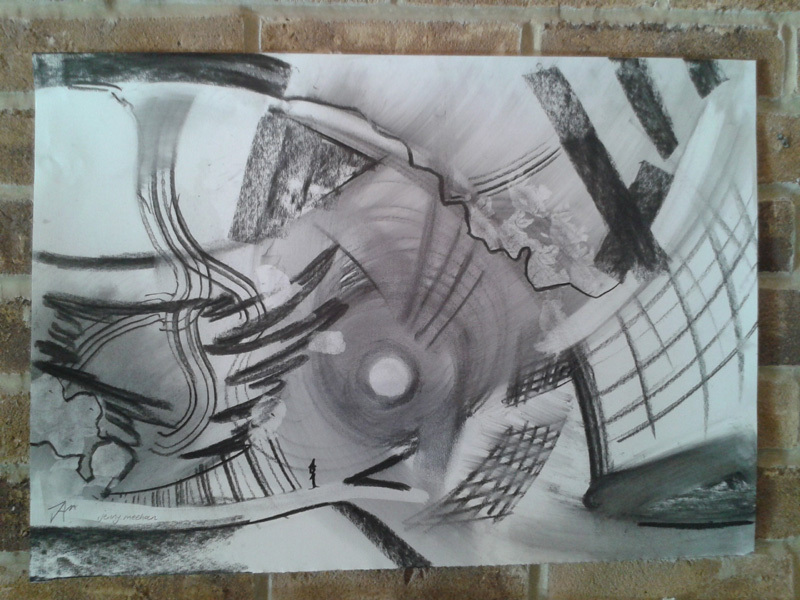 It is therefore also providing interesting insights, and even direction, in terms of my own artistic practice. The relationship between the working through emotions and beliefs during therapy sessions and my Christian faith and creativity is also quite exciting. 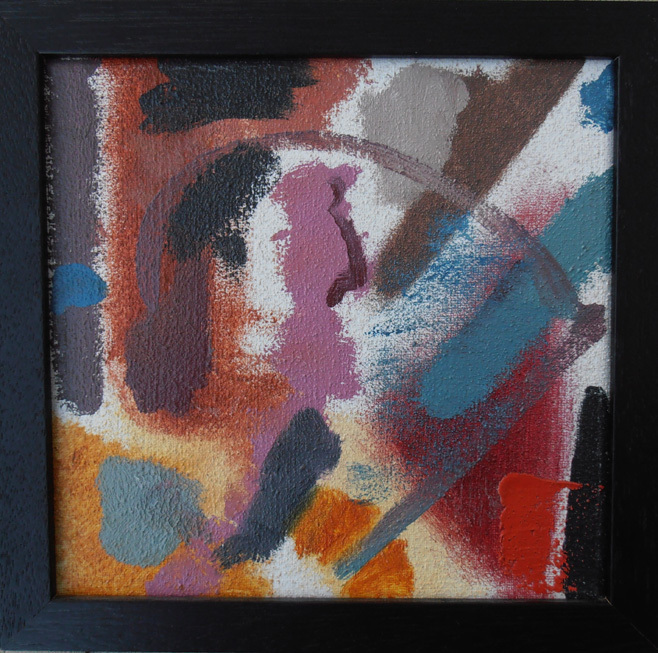 I find I am more disposed towards contemplation; an activity which does go very well with painting. I am thrust more towards my own Creator in my need for solace, healing, and insight, but also rather pleased and thankful for the opportunity to have the space to examine myself and my experiences in great depth. I am grateful for the Holy Spirit, who acts as a counsellor and comforter, and opens the way forward. Why would we think we need to struggle through life helpless? It’s easily done, I know this myself. I think the combination of a psychoanalytical approach to self and identity, hand in hand with the beautiful experience of receiving love through the work of Christ, is quite a good combination for healing. We all have our personal journey of hardship and pain through our lives… We all need the resources in order to move forward and some of us are more able to access those resources than others, for a great variety of reasons. So there really is no sense of needing to hide the times we seek psychological help…It is quite strange when you think about it, that there is no taboo around breaking a leg, but often a shroud of mystery around other damage that may be encountered throughout our lives. It still feels a bit odd telling people about psychotherapy sometimes…But also true that my own understanding of its virtues as a practice have changed significantly, and it has become not just something done to sort out mental tangles or blocked up emotions, but something which is, for me anyway, a very beneficial type of work which relates well with my creative art working. “Since 2009, City Arts has coordinated exhibitions at the Institute of Mental Health in Nottingham in partnership with University of Nottingham. These were; Identity, Visions, Voices, Interiors and Diversity. You are invited to the launch of Recovery, the 6th art exhibition in the Institute of Mental Health. Venue: Institute of Mental Health. The theme of the exhibition explores ideas around recovery from mental health problems. The concept of recovery is now widely used in mental health literature and practice. It may refer to both clinical and personal issues related to mental health. However, the concept has been contested, and invites further questions: What does the term mean to people who use mental health services and to those who provide them? Is it helpful? Who is recovering? Is it possible to recover and does everybody want to? Is there another way to describe recovering? The work in this exhibition responds to these questions. The exhibition will run until May 2014. By the time I post this up, the opening will have come and gone I expect. Due to shortage of money and time, I won’t be able to make it to the opening which is a shame, but I am hoping that I will be sent some images of the exhibition, as I am very keen to see the other work displayed. I’m pleased with the way they look in the black frames. Reading seeks, meditation finds,prayer asks, contemplation feels. 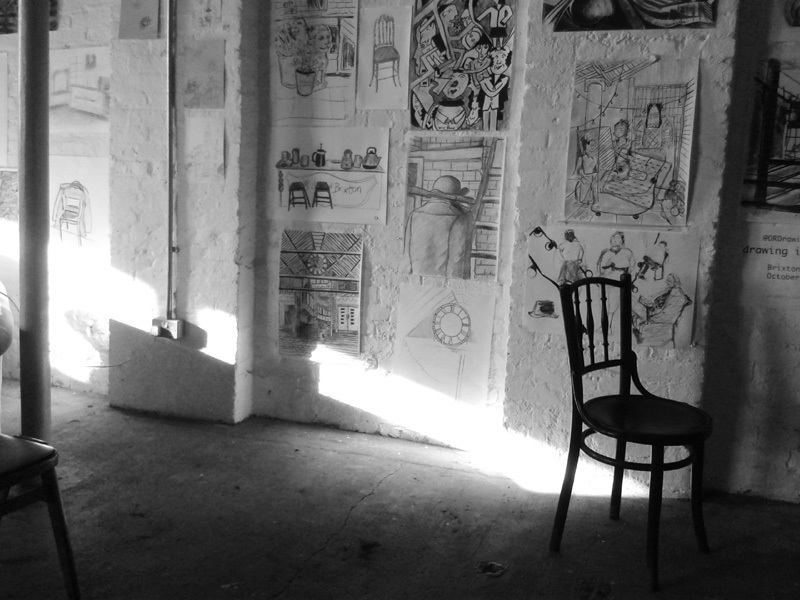 Having selected a few studios to visit this year as part of The Lambeth Open, I’ve been thinking about what makes a good studio visit experience and what makes it less successful. Not being able to find the place makes it very unsuccessful, and this did happen to me with one of the artists, which is a terrible shame because the work done on the publicity and provision of maps is most excellent and very well done indeed. Stunningly brilliant even. These things take a hell of a lot of work. Timothy Sutton who organises the event is only to be admired in my opinion. But one venue was a pub, which was not clear and made things confusing. Also, it was only possible to visit during the pub opening hours, which also wasn’t made clear. But this was a tiny dot on the map, as The Lambeth Open covers a large area, and on a more positive note, I enjoyed the studios I did get to, and concluded that a friendly, open, helpful and hospitable artist, with plenty of work on show, was probably enough to tick all my boxes. The Art News article on studio visits by Ann Landi, which I have provided the link to above, is more focused on, as it is billed: “Art-world insiders dispense advice on what you should say, how the artist ought to display the work, and which refreshments to serve, if any” and makes an interesting read for either artists putting on an Open Studio event and also those who enjoy visiting Open Studio events. On that subject, I am holding my own Open Studio and Studio Sale on Saturday 9th November between 2pm and 6pm, so do email me at j.meehan@tesco.net or use the contact form on my website http://www.jamartlondon.com and let me know if you plan to come for a visit yourself. Also be aware that I am happy to arrange Studio visits from time to time, and if you would like to come along and see my work, then by all means let me know and I can schedule something in. Here is a quote which struck me on reading by the painter David Park, quoted in an article entitled “David Park California Dreaming” on Leftbankartblog. It is a very good read and an enlightening article written by Carl Belz, Director Emeritus of the Rose Art Museum, Brandeis University. The last two examples of David Park’s paintings, David Park, Rowboat, 1958, oil on canvas, 57 x 61 inches (Boston MFA). and David Park, Four Men, 1958, oil on canvas, 57 x 92 inches (Whitney) I will be taking some considerable time to take in. Just working on a geometric abstract design painting for All Glass in Paisley. Enjoying the experience of using past experiments with textures in a rather more structured way. I have always delighted in John Tunnard’s paintings and it is certainly interesting working with such a sense of order with both colour, texture and space. It doesn’t feel too restrictive, there are still plenty of decisions to be made along the way, even though not one gestural mark in sight…Well, a tiny little bit to add variation to some of the areas but nothing that stands out and shouts “Look at Me!” One of the most interesting parts of this project is translating the design, which was organised using vector graphics, and letting it take a new form in the material of the painting. There’s no point in trying to copy from one medium to another, as the materials dictate their own directions and there is a need to be flexible and open to change. This makes what could seem a rather laborious and unrewarding task unexpectedly interesting. I’ve got an idea now of what I will do with the existing ideas for colour, and also where to take the different areas to in order to create some interesting relationships… Not sure about the hessian, even when colour is changed, so that may be coming off… Though very different, diametrically opposite even, from how I was starting my paintings last year, I am enjoying the change in approach, though I don’t see myself sticking to this completely pre-defined starting point/structure, unless I was working very large, in which case it would be wise. I think the process of navigating a way forward probably does come from pushing ahead one way, then reacting in another direction, then melding, then continuing…testing…. Maybe with repetition, deviation and hesitation! 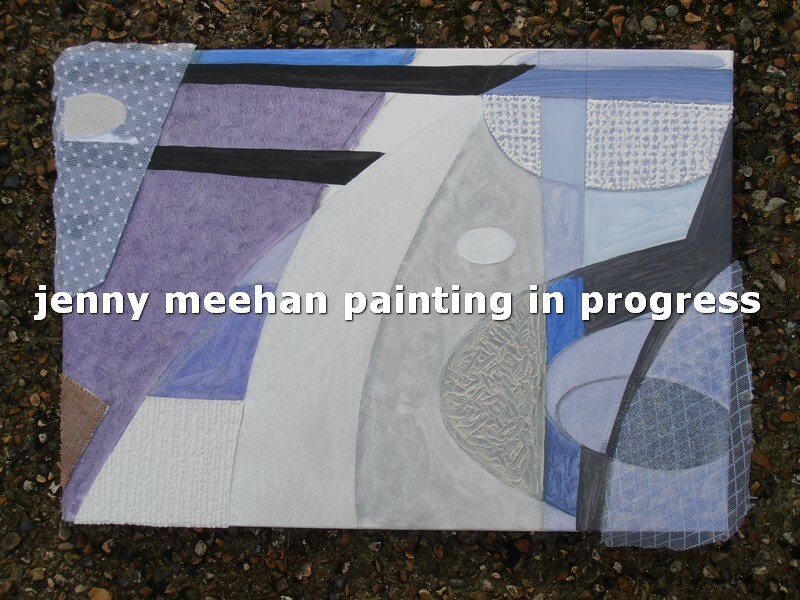 And always with reflecting, meditating, responding, analysing and generally waiting for paint to dry. I am currently beginning to find that the combination of continuing with the reflective and analytical practice of both personal psychotherapy tied in with my faith journey as a Christian is providing many wells of potential directions for my painting, poetry and other work with imagery. As always, I seek focus through reflection, and seek insight and wisdom as to decisions connected to my paintings and other work. How could I resist not getting involved in this interesting project? !!!! Aaron Head has put together “The Archive of Failure” which I am sure will be amusing and interesting view. Discussion Panel: FEMINIST ACTION – ON THE RIGHT TRACK? Eric Ravilious produced a huge amount of high quality work over his busy life, and I get great pleasure from looking and reflecting on his amazing craftsmanship. The best part of my day today (16/10/2013) was listening to this! I love walking around London and spend a fair bit of time exploring, so you can imagine how pleased I was to stumble into Brixton East, 100 Barrington Road, Brixton, SW9 on Sunday to find a beautiful and interesting space, lots of paper, charcoal, pencils, etc, and people drawing, relaxing music, an amazing lavatorium (this is my playful name for a toilet, loo, restroom, etc), and a very nice cup of tea. (Thank you so much for that! It inspired my artworking!) 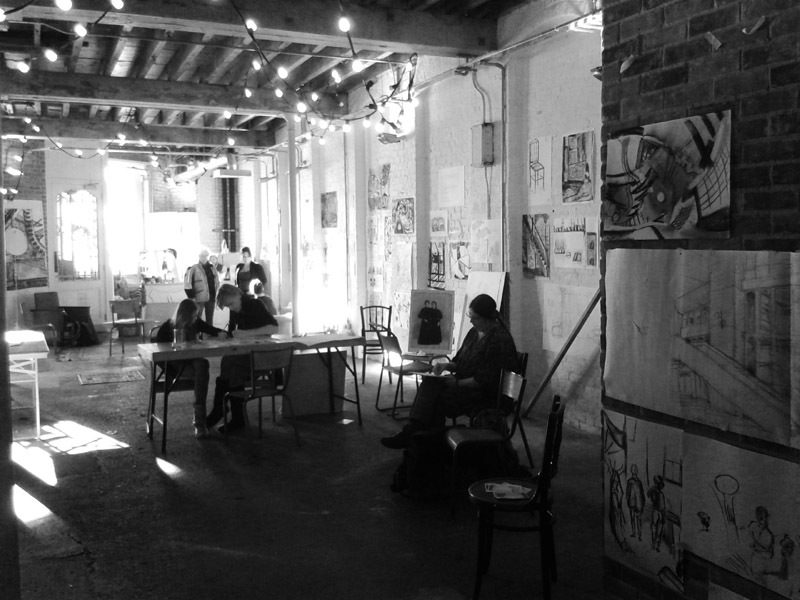 I found out that the Brixton Drawing Project, (now in it’s third year, I think) is a week long event and started on the 1st of October, so I felt fortunate to have made it there by accident. I also bumped into an old friend, unexpectedly, which was lovely and she kindly gave me a home made pastel. This may not seem very exciting to many, but home-made art materials always go down very well with me; I love using them and I was most grateful for it. It is wobbly and distorted and full of natural and individual charm…Just like the most interesting people in life! 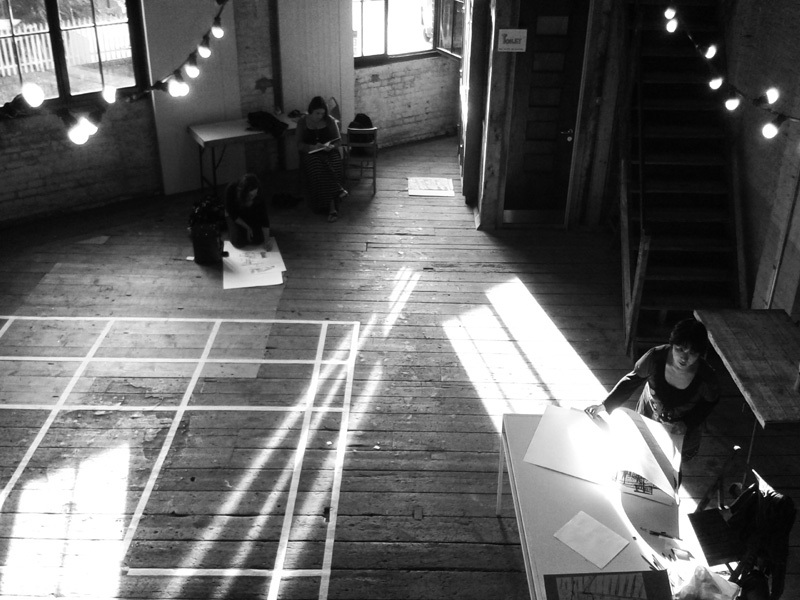 Brixton Drawing Project – Jenny Meehan at Brixton East. My offering, in charcoal. 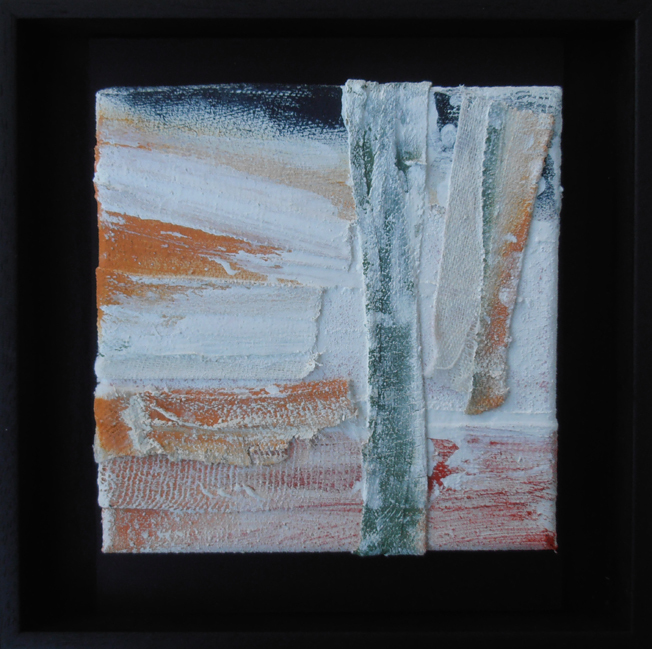 There is a small figure standing in the realm of a markmaking landscape! Quite a sociable time at the moment, and it was great to view the KAOS (Kingston Artist’s Open Studios) exhibition once more at the Cafe at Court Farm Garden Centre in Worcester Park during the Kingston Arts Salon Networking event. I think it is very valuable and important for creative practitioners of all varieties, be they into music, writing, visual arts, drama, dance, etc to mix, because we are engaged in the same wonderful creative adventure, in different forms…These forms can relate in so many interesting ways, and we can learn so much from eachother.